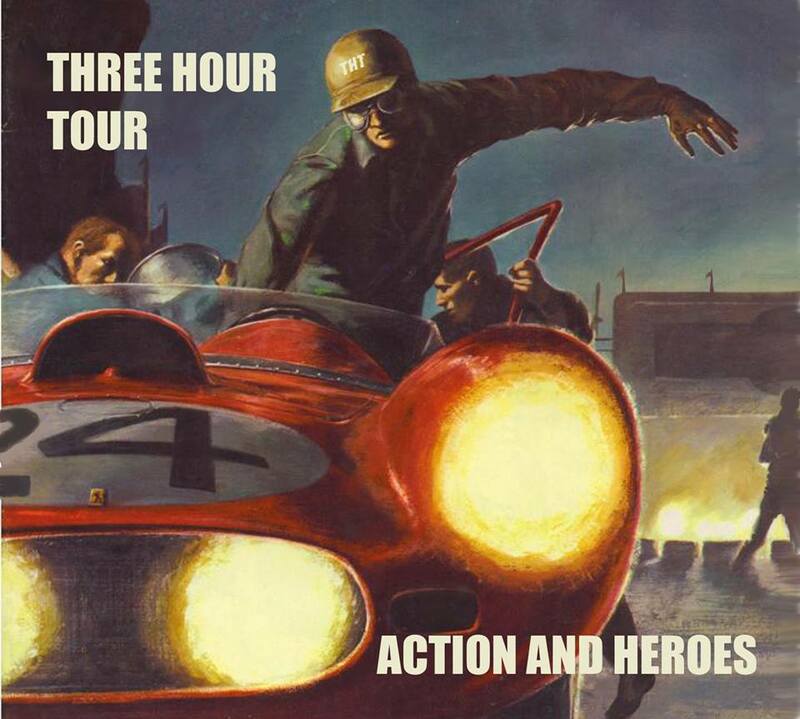 The first release from power pop band Three Hour Tour since 2010's Looking For Tomorrow finds vocalist-guitarist Darren Cooper once again doing just about everything, with help from three highly regarded Illinois-based musicians. Adam Schmitt co-produced Action And Heroes with Cooper, and plays keyboards; drummer Brad Elvis appears on nine tracks; and John L. Richardson drums on the other two. Cooper continues his penchant for setting cryptic lyrics to fetching melodies; bouncing from songs about relationships to ones exploring social issues. The satirical title track skewers the marketing behind modern heroes and trends ("We could use a little vision in this life"), while on the hard-hitting "March Of The Fakers," Cooper notes, "We long to know but we're never told the truth." Brad Elvis channels his own hero Keith Moon on the energetic "Afterlife," and Cooper adds some hard rock guitar toward the end of the otherwise 1960s flavored "No Guarantee." The slower "Somewhere" has a hint of glam, and there's a nod to Revolver era Beatles on "Alameda." The best track here is "Nowhere Bound," a wistful look back at a relationship that employs an irresistible melody along with an appealing blend of electric and acoustic guitars.